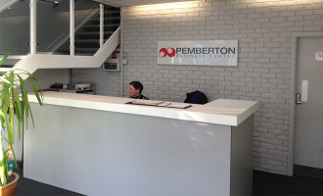 The concept of the Pemberton Business Centre is to provide an environment in which our clients are free to concentrate on the development of their business, while we take care of the day to day problems associated with the running of the business premise3s. Pemberton Business Centre is situation on the outskirts of Wigan less than one mile from Junction 26 of the M6 motorway. Located at the end of Richmond Hill which lies to the Northern side of Ormskirk Road just off the A577, in a well established commercial location. We offer a range of acommodation starting at offices for 2/3 people at £200.00 per month, offices for up to 5 people at £400.00 per month and larger suites of offices from £800.00 per month. We also have a range of light industrial units available from 500-1500 sq feet from around £200.00 per month. Pemberton Business Centre is located within the boundaries of Wigan Borough Council and falls under the local business support of Wigan Borough Partnership and Business Link North West. There are normally grants and other business funding opportunities available for businesses located within this area which can normally be tapped into with help from Wigan Borough Partnership and Business Link North West.